Israel doesn’t mess around when it comes to national security. They take it very seriously. More seriously than America does. I say this because I am unaware of any high-level hacking successes of Israeli servers, while American servers seem only vulnerable and increasingly, open and available to any computer hacker worth their salt. America had better get its cyber­-defense act together. In other areas such as safety in travel and tourism, Israel is also tops in the world. Sending your child on a visit to the Holy Land? No worries, you’ll see, the Israeli national security infrastructure like the Mossad (a more competent CIA) will take care of her. El Al is the safest airline in the world, bar none. Now, on a completely different subject: The “Game of Thrones” TV series is a massive hit in America. Having just won its record-setting 38th Emmy, Thrones is a certifiable social phenomenon. Americans seem more interested in what Jon Snow, Daenerys Targaryen or “Littlefinger” does than that report that’s due or the stock price of their company. As a Thrones follower, I’ve marveled at its popularity. What is it about the setting, characters and story-line that is so magnetic to people? For me, it’s all about the dragons. We get to watch them grow from sweet eggs to cute, little monsters to traumatically-scary flying reptilians when they swoop in out of nowhere to make us jump out of our skin. And like Sun Tzu‘s “Art of War,” popularly applied to current-day business strategies, it was only a matter of time until some bright, forward-thinking people seized upon the House of Stark, Lannister, Tyrell and Targaryen format and formulated a new way to use the Thrones’ metaphor for training, human resources and the military. The IDF‘ (Israeli Defense Force) training is beyond compare. It is compulsory for all Israelis above the age of 18 to serve in the IDF; men for 32 months and women for 24 months. Again here, they take it very seriously. Americans are nonchalant compared to Israelis. I’ve written about Israel’s “Unit 8200” before and how the graduates and officers from this elite unit are starting very successful, NASDAQ-listed, ‘Big Data’ businesses after their Israeli defense service. But in a humorous departure for generally not-humorous-at-all Israelis, they turned to modern TV culture and Game of Thrones to better train their computer specialists to defend network attacks of all kinds. The “C41 Corps” is a “directorate” with three key sections: the Technological Division; Signal Corps Division; and the CyberDefense Division. It is this last division, with over 6,000 people and more than $2 billion in budget that is our focus here. 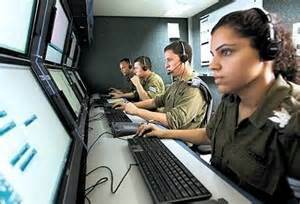 The CyberDefense division is a relatively new effort and was established to provide intelligence to the IDF on cyber threats. It is similar, I was told to our NSA but not just ‘Sig Int’ (Signal Intelligence). When I asked ‘Lt. M.’ if this fun training format was his idea, he resorted to evasive tactics, telling me that it was one cadet in particular who loves Thrones that had the idea, but “each exercise has a different theme.” It was the first training exercise using Harry Potter as the theme that was Lt. M.’s idea.